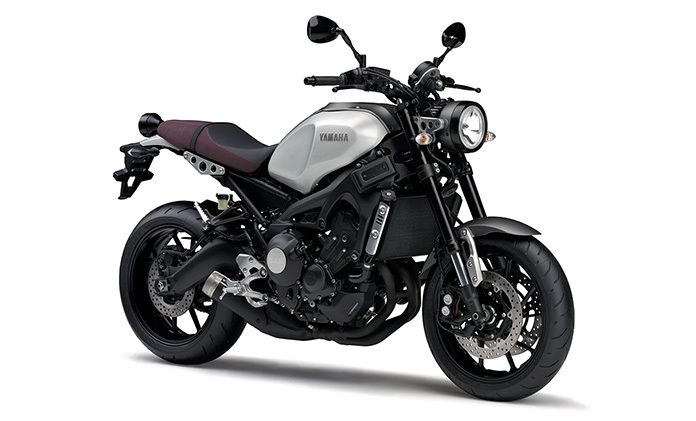 Good Design Award - Yamaha Motor Design | Yamaha Motor Co., Ltd. Introducing products that have won Good Design Award. 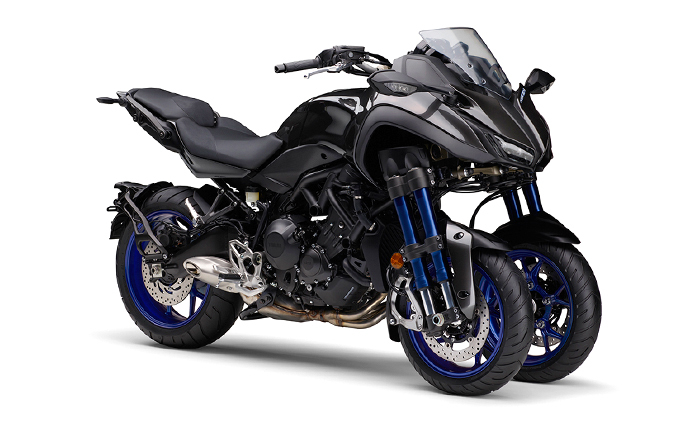 The NIKEN is a large-displacement Leaning Multi-Wheeler (LMW) powered by a liquid-cooled in-line 3-cylinder engine. Its LMW technology reduces the effects of changing ride environments and inspires front-end confidence when cornering. Taking advantage of the unprecedented front suspension that pairs the 15-inch front wheels with dual-tube inverted forks mounted to the outside of the wheels, the body design visually accentuates the machine’s sporty performance. 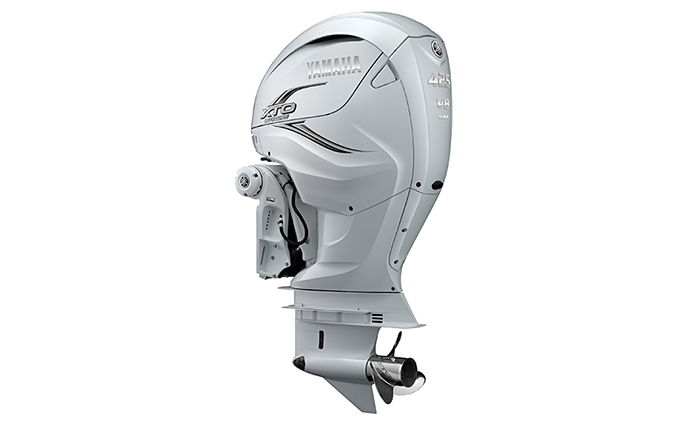 Pumping out 425 horsepower, the F425A is the most powerful model in Yamaha’s 4-stroke outboard lineup. We sought a design that would maximize the advantages of that power, focusing on the smallest details for everything from the top cowl to the propeller. Also, as an exterior design “accent” for the boat it’s mounted on, we aimed to create an elegant yet dynamic styling worthy of the ultimate outboard and Yamaha’s flagship model. 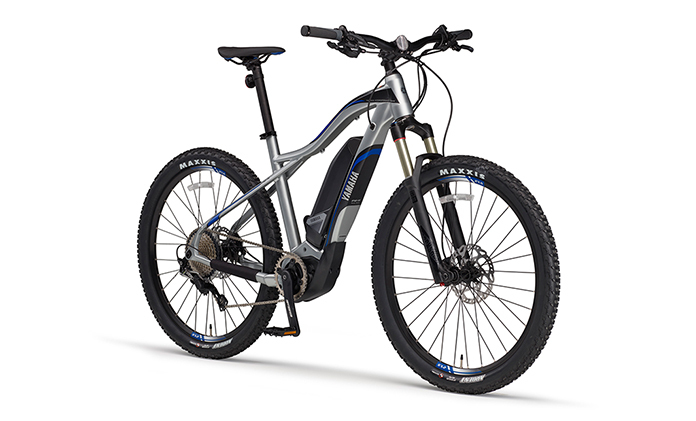 The YPJ-XC is an electric mountain bike (eMTB) aimed at serious riding enthusiasts and combines the chassis performance of a full-fledged mountain bike with a powerful and responsive electric power assist. From a styling standpoint, the drive unit and battery pack take up considerable space, so striking a balance with their shapes and the layout brings a sense of unity to the frame’s overall form that results in a simple design with rugged functionality. 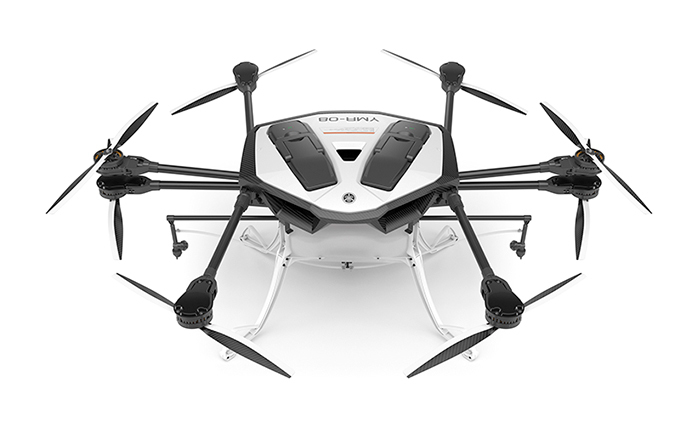 The YMR-08 is a remote-operated industrial-use drone developed primarily for airborne agricultural pest control. To answer the needs of small or suburban farms, it features a lightweight carbon fiber fuselage and eight rotors powered by an electric motor for quieter operation than a conventional engine. The exterior and individual parts were designed in an ardent pursuit of functional beauty that would please the eye of farmers and spray operators. 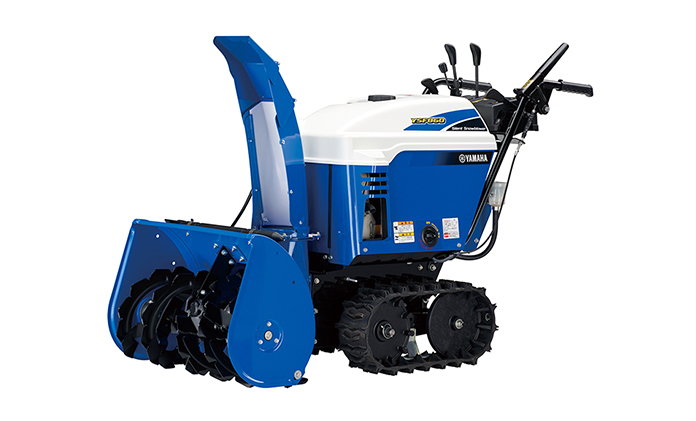 The YSF Series of compact snow blowers for home use features Yamaha-exclusive designs for quiet operation. Enclosing the engine with shielding plates and the special routing and construction of the intake/exhaust system lowers noise levels. Solid performance, numerous features and great durability complete the package. Its friendly appearance inspires fondness in the users that rely on them in their daily lives. The CELL HANDLER automates part of the evaluation process for developing new medicines etc., which involves image capture of specific cells, screening and selection, picking and placing them on individual microplates with high accuracy and then compiling the data. 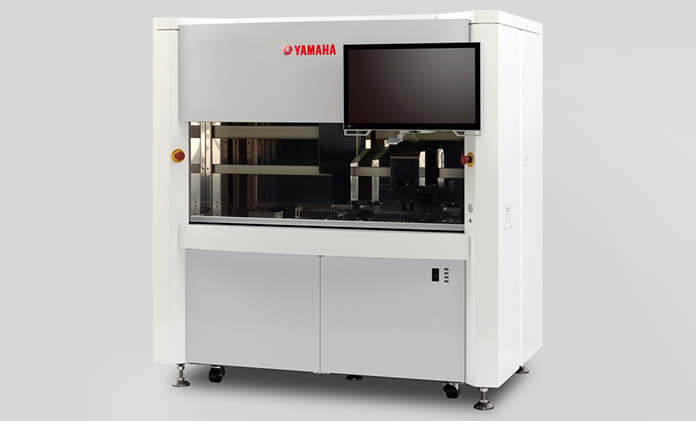 Researchers normally perform this delicate process entirely by hand, but Yamaha Motor leveraged its expertise in surface mount technology to automate the process for both increased speed and precision. The TMAX530 is a sport scooter that is used in a variety of ways, from city commuting on weekdays to recreational rides out of town on the weekends. 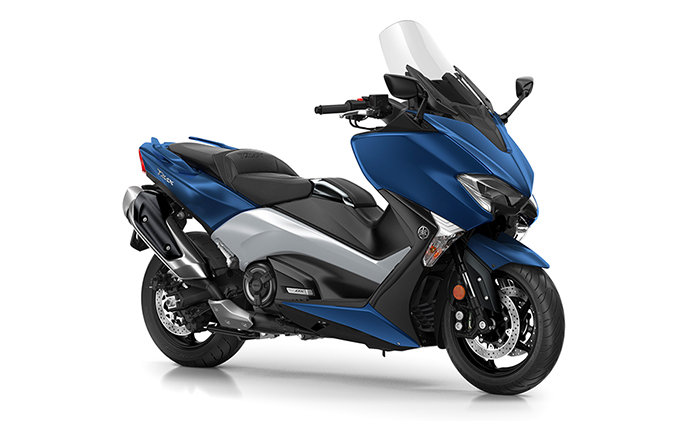 The standout feature is its sporty ride and handling akin to a sport bike combined with the equipment and functionality of a scooter aimed at comfortable mobility—two often conflicting qualities. This sport bike features a powerful engine with unique character, agile handling and innovative styling. 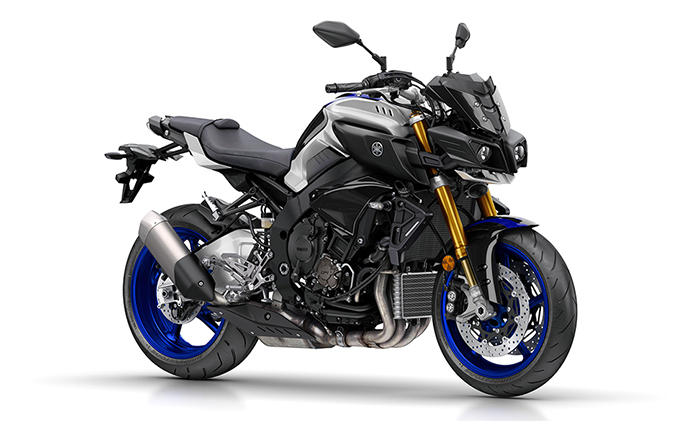 As the flagship of Yamaha’s globally marketed MT Series, the MT-10 has the performance and functions for a wide range of uses, from navigating city streets to highway cruises and long-distance touring. It employs the latest technologies for its electronics systems, etc., and sports the versatility to perform well in a variety of motorcycling roles. 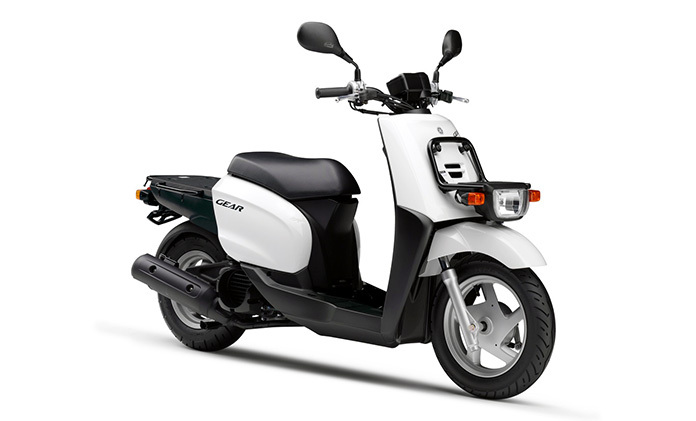 This is the successor to the XMAX 250, a model long popular in Europe praised for not only being comfortable and practical when commuting and getting around town but also for its fun ride and sporty styling. As the mid-class entry in Yamaha’s MAX Series of sport scooters, a category pioneered by Yamaha in 2001, the 300cc XMAX is sold in markets like Europe and Taiwan while a 250cc version is sold in countries like Indonesia and Turkey. Recreational Off-highway Vehicles (ROVs) are popular in North America for off-road driving through wildlands, deserts, forests and the like. 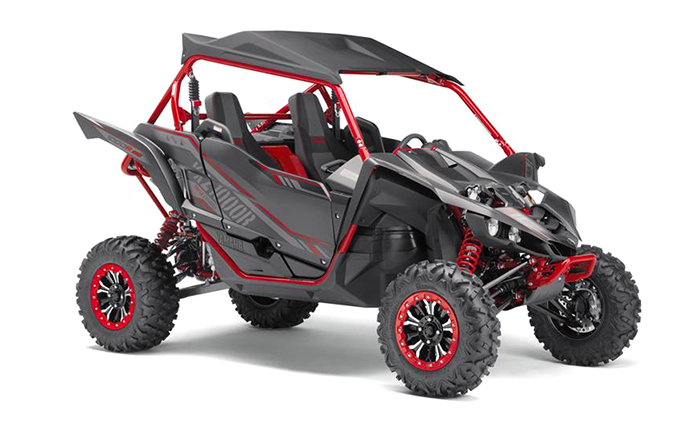 The base YXZ1000R model was specifically designed for sporty driving with its low, forward-angled styling, chassis with a low-set center of gravity, tight cockpit layout envisioning aggressive driving and more. Adding to the package, this “Sport-Shift” (SS) version removes the clutch pedal by pairing an automatic clutch to the 5-speed transmission, and adopting paddle shifters to enable gearshifts without taking the hands off the steering wheel. This next-generation mid-sized sport fishing boat comes outfitted to answer the diversifying needs of today’s anglers. 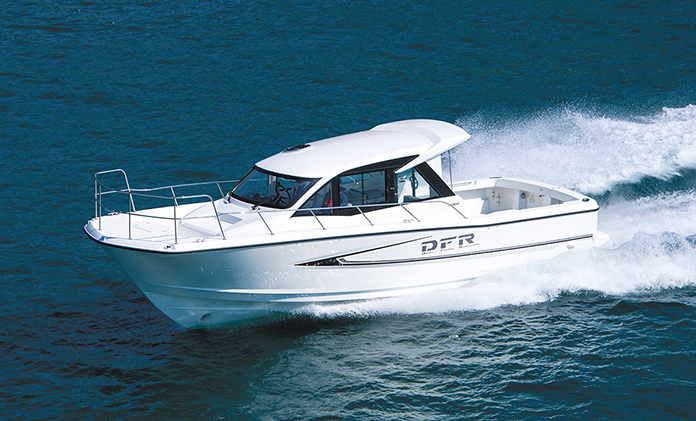 In a fusion of functionality and styling that embodies Yamaha boat DNA, the DFR33 boasts various functions and equipment designed with consideration for those who enjoy cruising with family and friends. This personal watercraft was specifically designed for all-out speed and targets users that enjoy racing or the highest levels of performance. 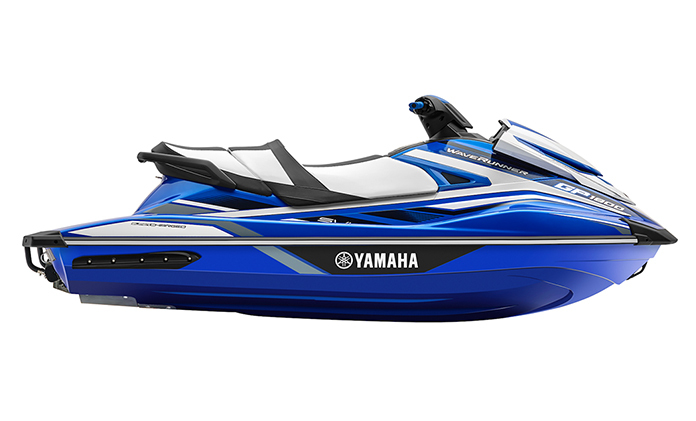 The GP1800 boasts a hull made of our ultra-light NanoXcel2 material and optimized for sporty riding, and mounts a supercharged 1,812cc engine—Yamaha’s most potent PWC powerplant. It also features the revolutionary RiDE system for intuitive deceleration, neutral and reverse, plus steering control during deceleration. Along with electric trim, an ergonomically designed seat and more, the GP1800 was comprehensively designed and fine-tuned for speed. This business-use scooter was developed to answer the growing and diversifying needs for light commercial deliveries in urban areas. Its ease of use and functionality have made it a popular solution, with its adaptability for use across a wide range of businesses, easy-to-load luggage decks at the front and rear, damage-resistant body panels, and effective lighting that is also easy to replace. Including its 2007 model update, the GEAR has been in the lineup for 22 years. The SR320FB is the first sport cruiser in Japan to feature the Helm Master fully integrated boat control system as standard equipment, which enables intuitive boat control via a single joystick. In addition to its beautiful form, the twin outboard motors bring excellent cost-of-ownership, eco-friendliness, serviceability and space efficiency. With plenty of onboard space, luxury interior appointments and easy operation, the SR320FB makes the boating life more user-friendly. 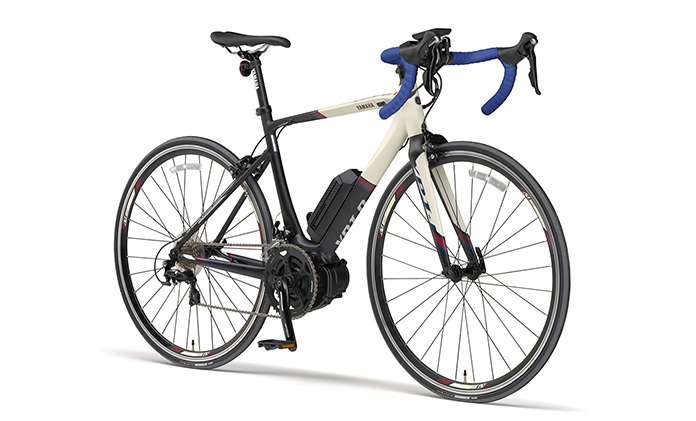 The YPJ-R combines the lightness and excellent performance of a road bike with the advantages of an electric power-assist. It moves away from the orientation of conventional electrically power-assisted bicycles being utilitarian and convenient, and instead shifts the focus to recreation and enjoyment. The YPJ-R offers a way to enjoy road biking like never before, both for young people with a strong interest in cycling and for users who want to comfortably enjoy mid/long-distance riding. 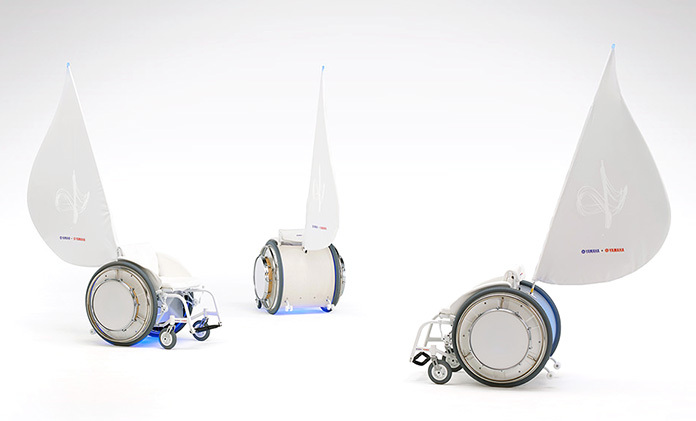 &Y01 (Andy 01) is a working concept model co-created by Yamaha Corp. and Yamaha Motor designers with an image of a white yacht sailing through the waves. A JW Swing electric wheelchair mounts a TLF (Thin, Light, Flexible) Speaker shaped like a boat’s sail or a musical note’s flag on the back, and slim percussion instruments on the wheels to create the new experience of "riding a musical instrument." 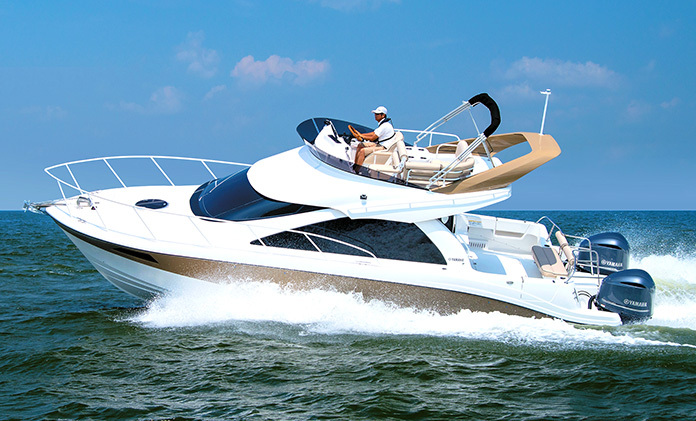 This boat is Yamaha’s top-of-the-line jet-propulsion Sport Boat model. With a newly designed hull and an articulating keel, the boat has improved straight-line stability and handling. Features like a new digital display system add greater convenience and enjoyment. The result is a boat that offers the fullest enjoyment of the North American style of marine leisure, including everything from cruising and towing for watersports to spending time relaxing onboard at the dock. The market-leading YZF-R1 1,000cc supersport model has been completely redesigned with a new focus primarily on riding on a racetrack. It features a new high-performance engine, electronic control systems employing a six-axis attitude sensor unit and a chassis using magnesium and aluminum parts throughout, all combining to achieve an incredible level of performance. The exterior design has improved aerodynamics and also adds new individuality to the model's appearance. This is the world’s first smartphone application that translates engine sounds into human language. By selecting one of the six personalities in the app and recording the engine sound, the app translates the sound into over 100 million realistic and unique combinations of spoken lines. The engine’s translated "emotions" and spoken lines vary depending on the engine sound, the time of day and the weather. The app was developed under Yamaha’s "Revs your Heart" Brand Slogan. This application makes use of a smartphone’s various sensors and GPS function to evaluate riding skill. It not only brings more fun to a ride but also helps improve the rider’s skills. With the app running on a phone fitted to a motorcycle smartphone holder and the bike being ridden, it evaluates the rider’s skills in each corner and assigns a score while also rating the rider’s overall ability. The rider can later get advice and view recorded ride footage. Yamaha Motor built and marketed Japan’s first all-FRP (fiber reinforced plastic) swimming pool in 1974. Since then, Yamaha has made full use of FRP’s advantages as a light, strong, watertight, weatherproof and highly durable material. To date, Yamaha has designed and built more than 40,000 pools, ranging from small pools to full-size competition pools. The first 25-meter pool that Yamaha built and installed at an elementary school in Japan 36 years ago is still in use today. This industrial unmanned helicopter "FAZER" is mainly utilized for agriculture. A project to transfer Japanese manufacturing technology and enable the domestic construction of fishing boats in Mauritania. A FRP fishing boat manufacturing technology transfer project run in response to a request from the Mauritanian government. Water purification equipment for use by people in developing nations without adequate drinking water-based on the natural water purification mechanism known as "slow filtration." A sports scooter designed to offer the convenience of a sporty commuter bike as well as to create a unique impression. This sports bike’s simple styling and smooth running raise the bar for all other cruiser bikes. The top case and the peripheral goods for mounting on a motorcycle that match the design and color variations of the vehicle. A gel coat with a beautiful stone grain pattern that creates a sense of luxury. A step up from ordinary swimming pools, this FRP flat pool is designed for aquatic exercise. A long-selling model, first released in 1978. A large-wheel-diameter scooter (16 inches, front and back) designed to offer convenience, comfort, and reliability for use around town-principally aimed at the European market. A sports cruiser designed to offer outstanding speed, comfort, and accommodations. A fishing boat designed to strike the best possible balance between design aesthetics, performance, functionality, specifications, and price. A system for companies and government agencies that packages power-assisted (PAS) bicycles, the maintenance of the bicycles, and comprehensive insurance coverage. A modern, stylish, clean commuter vehicle that runs entirely on electricity and emits no exhaust fumes. 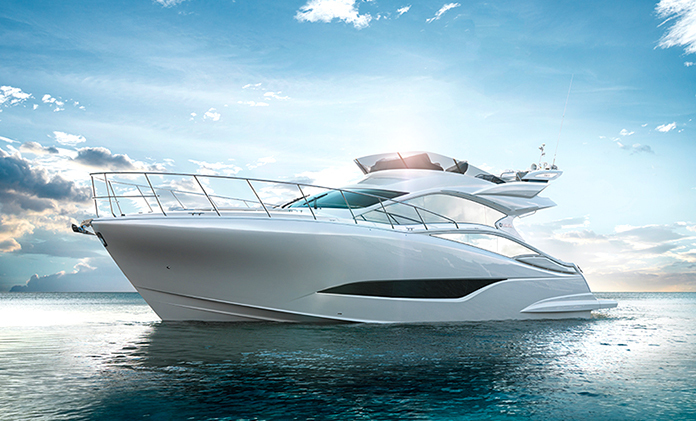 A top-flight saloon cruiser that boasts first-class accommodations, innovative yet refined styling, and smooth maneuverability.